Join us on an adventure into the Victorian England where we get to meet the charming chimney sweeper Lara and her pet pig Pörte Sidfläsk. You never know diamonds you are able to uncover in all that coal! The history of the English chimney sweeper takes off after the great fire in London 1666, where 70,000 inhabitants lost their homes. It was after this horrible incident they instated building regulations and with that, they required proper chimneys. The usual size of them where 23x36 cm, and impossible for a grown man to climb through so they had to use children. Both girls and boys were recruited and the appropriate age to start working is said to be around 6 years old. The children were called chimney sweeps apprentices, and were apprenticed to a master sweep who usually got paid from a parish to take them in. So if you are not afraid to get a little bit dirty we highly recommend this Slot! We proudly present; Chimney Sweep from Endorphina! 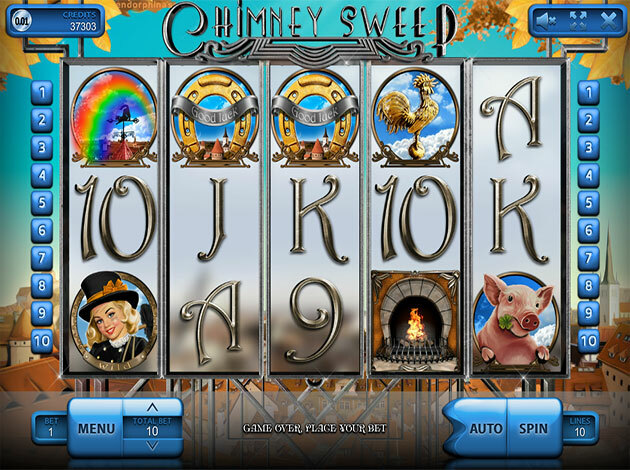 The chimney sweeper and her pig are what this story is about – and you will both meet and get to know them in this Video Slot. On the reels, you can see lower valued symbols of card deck symbols in an old-times inspired design of metal, these ranging between 9 and Ace. These are worth up to 250 when landing five-of-a-kind – depending on the bet placed. The higher valued symbols are then the gold rooster, the town overlook of a beautiful rainbow, the Good Luck symbol with a gold horseshoe overlooking the chimneys, the blue-chipper bird, the pet pig Pört Sidfläsk, as well as the chimney sweeper, Lara. But apart from these basic symbols, there are also a few extra special symbols to keep a lookout for on the reels of this game. These are the charming Lara and the fireplace below the chimney, which are the Wild and the Scatter. We will reveal just about everything about these below! Chimney Sweeper offers a couple of features that will leave you feeling cleaner than the one Lara leaves behind. The main one is triggered by the Scatter Symbol of the fireplace, and you need to land at least 3 of them to do so. When landing on these, you are instantly awarded 15 Bonus Spins and during this alluring Feature, all prizes are multiplied by x3. You also have the possibility to re-trigger the spins again by landing on more Scatters within the feature. The charming Lara sweeper is the Wild, and she can substitute for all symbols apart from the Scatter. When one or more Wild Symbols appears as a substitute symbol in a winning combination which doubles the win. 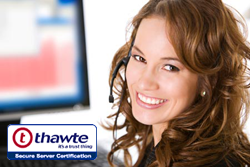 Chimnet Sweep is a Video Slot played with 5 reels over 3 rows and additional 10 paylines. All prizes are made of combinations of a kind, all of the adjacent symbols. They are made from left to right, and line wins are multiplied by bet per line. The game also holds an RTP of 96% and comes with a minimum bet of €0.01 and a maximum bet of €100. The young chimney sweeper Lara and her pet pig were one of the youngsters working on the rooftops, keeping the town safe. You will get to come with them in their job, to the beautiful view from the rooftops while saving it a new disaster. The reels are placed in front of a beautiful setting of orange brick roofs, white houses, like in the Victorian days, and a blue sky to keep them company. The reels are made of shadowed reels, and the animations and symbols are all very well-executed and vibrant. It is fall, and very beautifully made by Endorphina. Endorphina is a B2B software and online gambling provider that offers many diverse and unique slots for online casinos. Endorphina is a company based in Prague, the capital of Czech Republic, and they were established in 2012. They might be newcomers, but they have quickly grown into one of the most successful companies in their branch of business. Starting in 2012, Endorphina has already earned themselves a prestigious award at the 2015 Entertainment Arena Expo, held in Romania, where they won the “Product of the year” award. The same year, Endorphina signed a deal that would make sure that the company could start a cooperation with 120 of the biggest casino operators on the market, to get their games distributed. This is where their success-story got its big break. Endorphina offers a wide variation of games, and since their launch, they have continuously created and released games for the online markets and to their operator-partners. The range of slot. They put their heart and mind to the mathematics of the game, making it perfect for high bets and big gamers. Some of the game by Endorphina are; Mongol Treasure, Twerk, Temple Cats, and Voodoo.